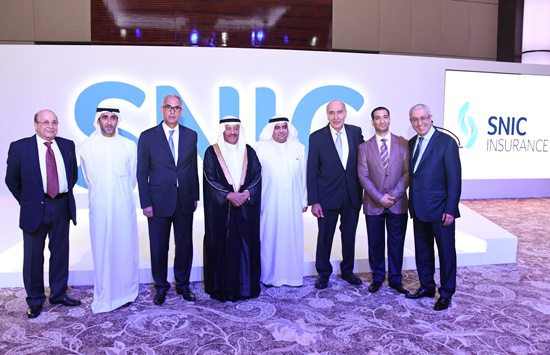 SNIC Insurance officially unveiled its new corporate identity as in the presence of His Excellency Rasheed Mohammed Al-Maraj, Governor, Central Bank of Bahrain, VIP dignitaries and SNIC’s senior management team at an exclusive launch event held at Four Seasons Hotel. The launch which witnessed the brand identity transformation, is part of SNIC Insurance’s long-term vision to evolve its business philosophy in line with its innovative product offerings to create real-value for its clients. The new SNIC brand logo - ‘two embracing hands’, reiterates the company’s responsiveness and helpfulness towards its clients combined with extensive knowledge of the insurance industry, while reassuring them of SNIC Insurance’s commitment to supporting them even in the most challenging times. The refreshed brand identity is being rolled-out via company website www.snic.com.bh followed by above-the-line marketing campaign and activities.